What do you do when one of your heaviest disinformation attacks backfires? 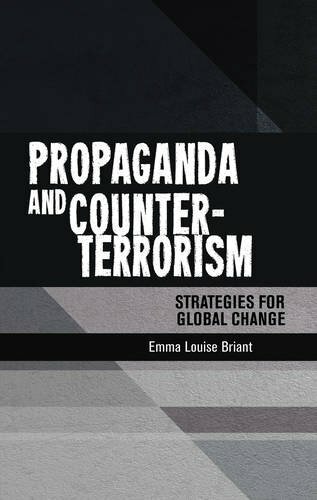 You send out way more disinformation attacks and hope that they will silence the outrage about such obvious attempts to deceive and mislead the international community. We have seen exactly this pattern during the last week in Russia’s disinformation ecosystem. The pro-Kremlin outlets were still hectically spreading all kinds of contradictory stories about the Skripal case and the suspects that had been identified by the British authorities when they received a “helping hand”: an interview with so-called Alexander Petrov and Ruslan Boshirov (the duo suspected of poisoning Sergei Skripal and his daughter), conducted by Margarita Simonyan, the head of the main international disinformation organisation of the Kremlin, Russia Today (renamed RT). The obvious contradictions and feeble attempts to misrepresent reality were quickly debunked by solid media outlets (see the numerous articles linked in the disinformation cases), ridiculed on social media (see here and here), and caused an unusually angry reaction from the British government too. Downing Street called the claims an “insult to the public’s intelligence” and “blatant lies”, and wondered how Russia could allow “lies and blatant fabrications” to be aired on a state-funded broadcaster. 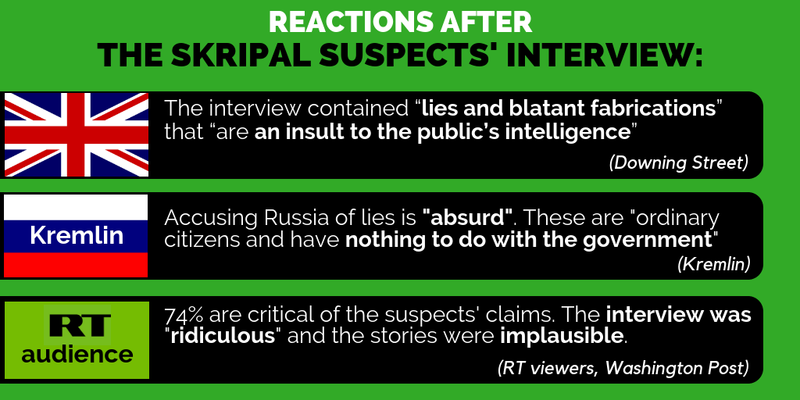 The statements made in the interview were so obviously false that some media marked it as a turning point in how the Skripal case is viewed by Russia Today viewers: “The previous data show that RT viewers were generally sceptical of the official British account of the Skripal poisoning. But [the] interview with the suspects marked a dramatic change — the top 100 most-liked comments included many from viewers who felt the interview was ridiculous and that the suspects’ stories were implausible. Fully 74 percent were critical of the claims presented by the suspects. Some viewers even noted that the interview itself had changed their opinion of the whole affair,” wrote the Washington Post. Simonyan failed to manage the situation and even hung up during a live interview with BBC Newsnight. Was that too nonsensical? Let’s spread some other nonsense then! The reaction of the Russian government was simple – let’s add more fuel to the blaze of disinformation. Falling back on one of the most tried and tested disinformation subjects of past years, the Ministry of Defence held a press conference just four days after the interview in order to spread new “alternative” versions of what had happened to Flight MH17. And no wonder, once again we have heard versions that contradicted even the Ministry’s own claims. 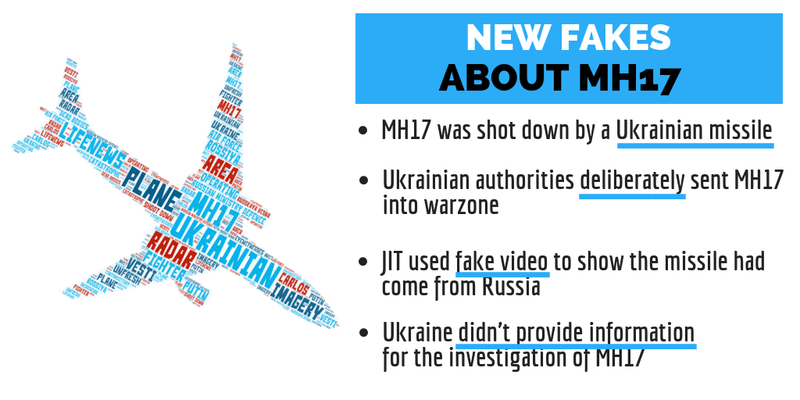 The claims are stemming from the new theory that it was a Ukrainian missile that shot down MH17. You will find all the claims among the disinformation cases: the Russian independent outlet The Insider has found no less than six attempts to disinform in this particular press conference. At this point we should recall, by the way, that in 2014 the very same Ministry of Defence presented “irrefutable evidence” that it was a Ukrainian jet-fighter(not a missile) that shot down the MH17. This disinformation flood of contradictions is something we and other researchers have described many times before, and not only about MH17 (see here or here) but also in the Skripal case (apart from our article linked above, see e.g. here); in the case of the attack on the humanitarian aid convoy in Syria in 2016; or in the case of the murder of Boris Nemtsov in 2015 (watch the Lithuanian movie War 2020, Russia’s Information Aggressionfrom 43rd minute). It seems that every time reality gets too difficult, the Kremlin disinformation machine has one and the same manuscript: pollute the information space with as many contradictions and disinformation messages as possible, so that the average media consumer loses track of what is a fact- and evidence-based attempt to describe reality, and what is just a disinformation attack trying to confuse and mislead. 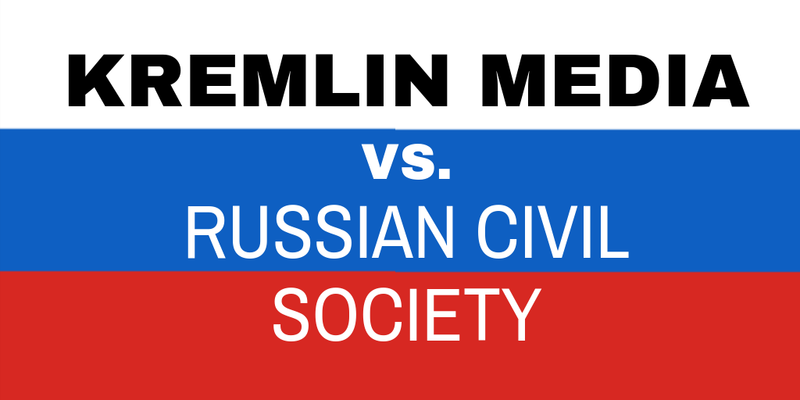 Pro-Kremlin disinformation targets not only foreign countries, but also Russia’s own civil society. 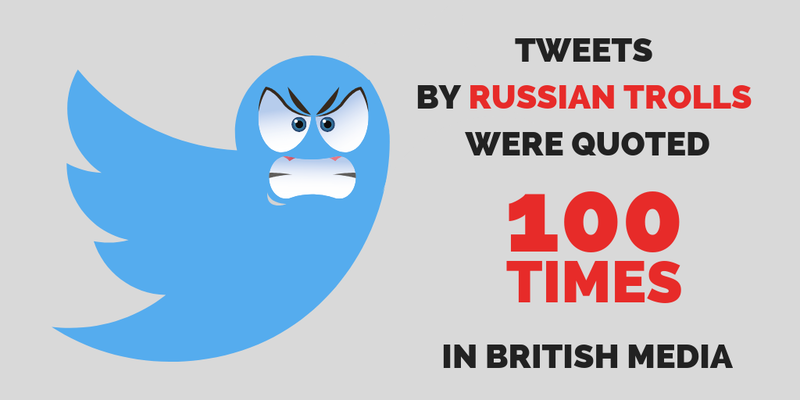 The Kremlin’s damage control strategy most likely calculated with the mockery RT would provoke. 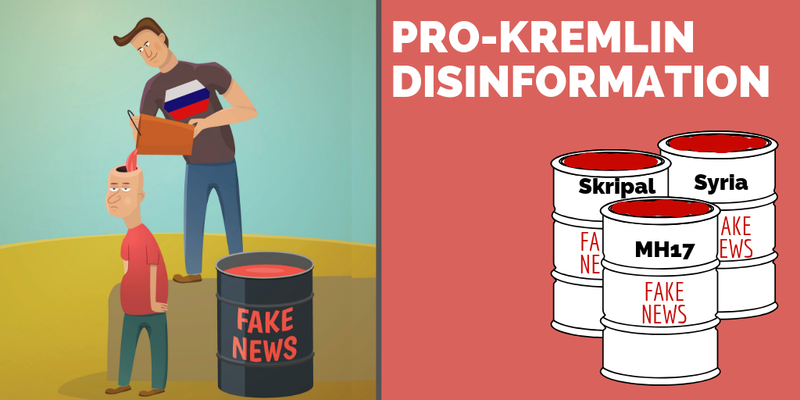 To ensure that the Disinformation Review appears in your primary inbox, simply add disinforeview@euvsdisinfo.eu to your address book.